I got lucky and bought a NOS movement from a Dutch seller, Jacqueline, she also trades on Ebay under the pseudo 2013perseconde. From the relevant forum posts I believe I got hold of the correct crystal and o-rings via cousins. From Yobokies I got a shiny new bezel insert. I am however still lacking the central second hand. When the watch dropped in the hold the hand snapped off. Original hands are NLA but I have been looking for a close matched replacement. First I was going to buy one for a Military type, but baulked at the price! I believe however having found a close match on Cousins website, 3AX130F0ASZ at 1.61GBP it will not ruin me even if it is not the correct one. It is stainless and mine was originally white, can one paint these white without too much difficulties, Humbrol paint or similar? any other sources for these hands? 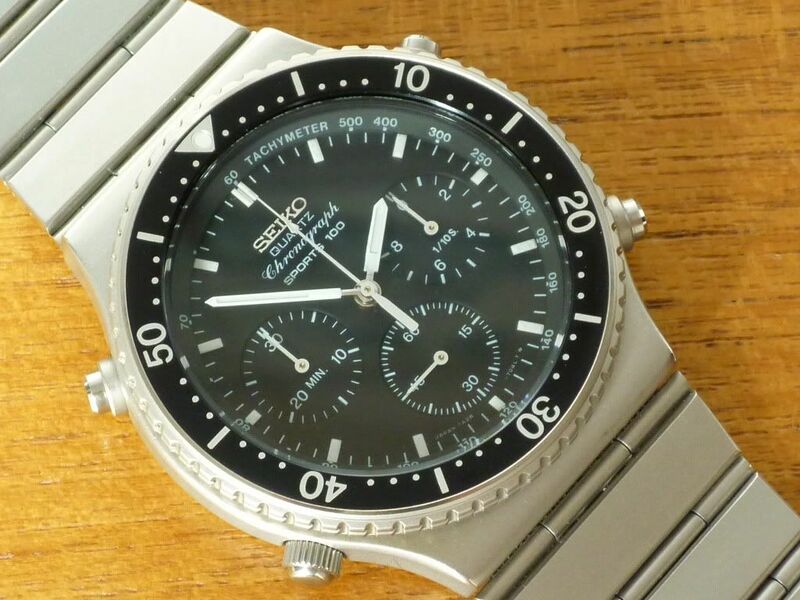 I'd say it's silver painted - same as the original fitment Seiko p/n 13SC06LK sweep hand on your (JDM) 7A28-7040. So a pretty good match in my eyes. I thought so, that is why i choose it. Not being an ace in looking things up on their database / webshop this is the closest I could find. The description though says Stainless, hence my question. I'm traveling today and tomorrow so first things when i get back will be to get one out and measure the diameter. If I remember correctly some of the pins in my bracelet have already been replaced by bits of paperclip.... Heya! dont shoot, one use what is at hand when stuck in the middle of the ocean with a broken watch!